Wedding invites are your opportunity to set the tone for the entire event and express your personal style. Are you looking to stand out from the crowd with totally unique wedding invitations that will blow your guests away? When it comes to the possibilities - the only limit is your imagination. Ready for invites that rock...? 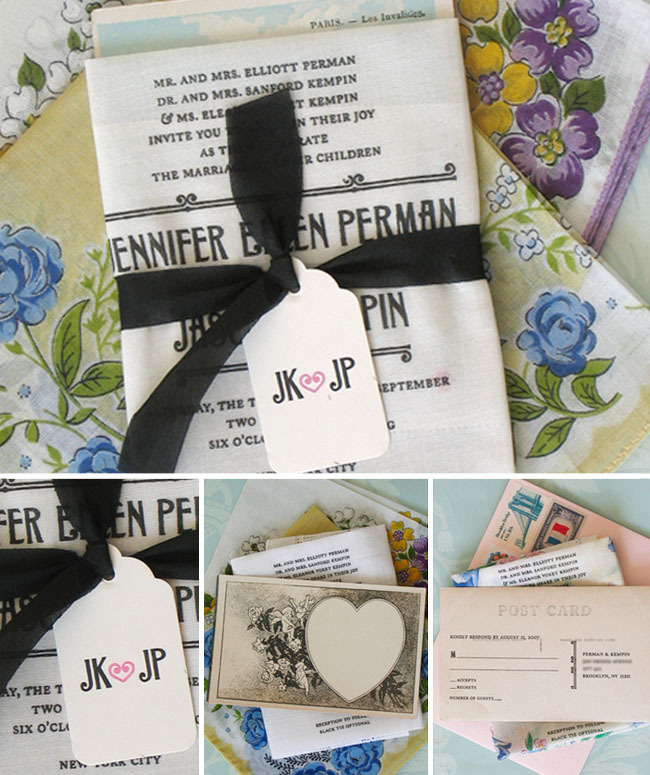 Have you ever seen anything sweeter than wedding invitations beautifully printed on delicate handkerchiefs? These charming creations by Lucky Luxe Couture are personal, unique, and a far cry from any mass produced invitations we've ever seen! If you too are a lover of all things handmade then these truly one off wedding invitations brought to you by Rifle Paper Co. may get your creative juices flowing. Embroidery thread was sewn directly onto the paper to create the designs and then hand painted lettering was added before scanning the art ready for printing. These French flea market themed wedding invitations by Bird and Banner were formed by hand printing on vintage handkerchiefs and postcards making each invitation 100% unique. What more can you expect when two photographers (wedding photographers to be precise) get together to plan their own soiree. Trevor & Larissa turned their mutual obsession with photography into their theme and these invitations were born as a result. These gorgeous wedding invitations by Saint Gertrude Design and Letterpress are pretty epic - combining a laser cut tree overlay and two color letterpress to achieve a modern yet rustic aesthetic. This down to earth design does a wonderful job of portraying the couples attitudes and values. If your wedding screams fun, frolics, fruity cocktails and lush surroundings, then why not head in the same direction as Coral Pheasant did for these Costa Rica wedding invites. These creative wedding invitations have been cleverly designed by Burning House to give guests all the relevant information without overwhelming the design. Using two pieces of untreated cardboard, 3 color letterpress, and a wooden plug for the spinner. Get your own template today! When your wedding invitation arrives in a coca cola bottle filled with sand and smelling of sweet coconut - you know you're in for a good time! Pounding Mill Press created these awesome, and might we add rather funky wedding invitations, where you need to use the supplied 3D glasses to uncover the hidden message. Think Victorian sweet shop meets English country garden - what do you get? 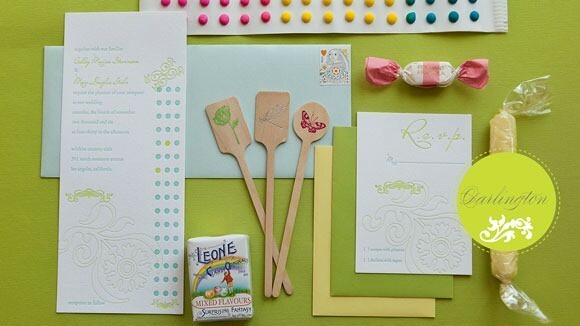 These delectable Darlington wedding invitations. The Greeks have many funny traditions and expressions and when it comes to marriage this is no different. The father of the brides expression 'I will hang them' actually means he will tie the couple with the holy bond of marriage. This tradition inspired Chris Trivizas to create a humorous wedding invitation that includes both a rope and instructions on how to make a slip knot! 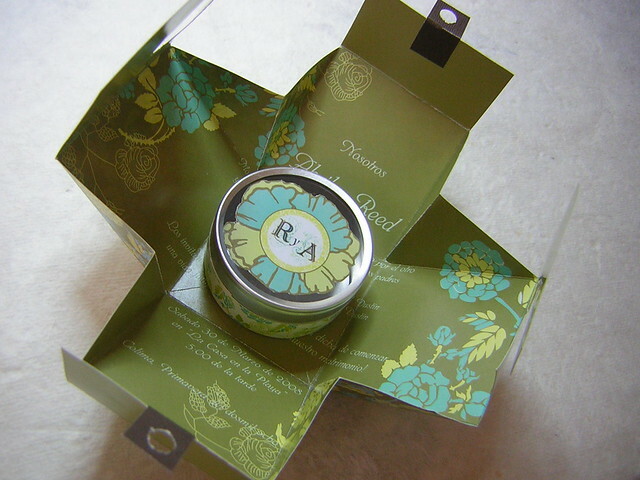 This beautiful floral handmade box opens up to reveal the wedding invitation inside - tucked away beneath an elegant trinket box. If you want to literally take your guests breath away then how about a balloon that blows up to reveal the event details. 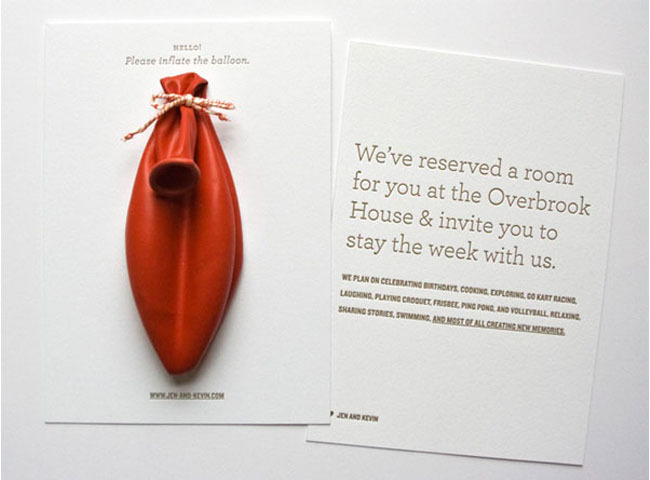 FPO have put together this incredibly playful design that is sure to inspire even the most deflated of guests! If you are feeling artistic then why not venture down the same avenue as Jess & Russ and opt for digital story telling invitation with a built in RSVP? This wedding invitation is quirky, creative, and unique. If you have an equally romantic tale to tell then this could be the perfect way to do it. Whether you want to set the tone or the table, these engraved spoon invites from Alex over at The Bridal Recipe are ideal for food centric festivities. For the secret agent inside all of us - top secret wedding invitations by Letterpress Love add flair and intrigue to any event. A wedding is the last thing your guests will be expecting when this classified file comes flying through their mailbox. 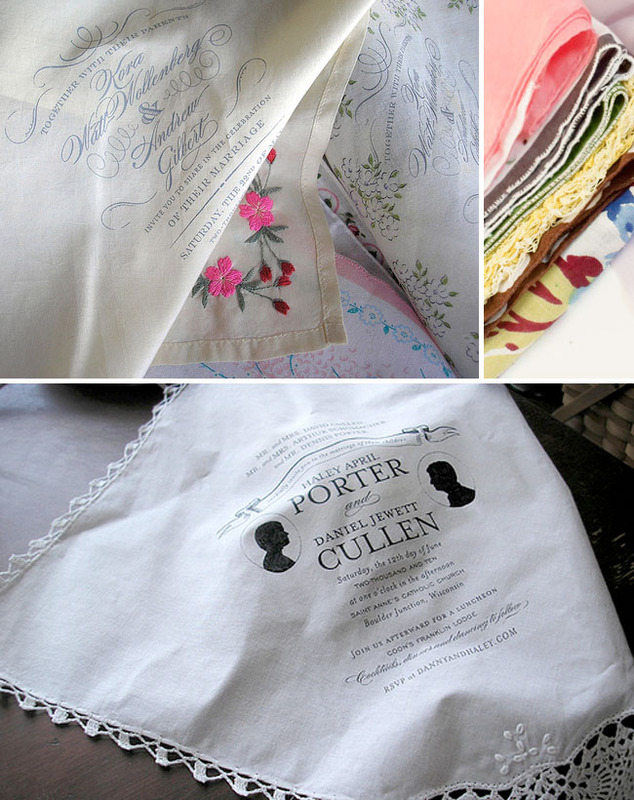 These tea towel wedding invites brought to you by Wedding Tea Towels are simply some of the coolest wedding stationary we have ever seen, and to top it all off they are a superb sustainable option. Destination weddings are so much fun and they allow for the invitations to be equally as exhilarating. Tickets, passports, and itinerary in hand and you're good to go! Simple and chic never fails - which is why these funky photo booth snaps of the bride and groom presenting the wedding invite just works so well! If the above wedding invitations aren't enough to blow your guests away then these view master invitations from Image 3D will certainly do the job! Choose whatever images you want and Image 3D will craft for you wedding invites that will never be forgotten. Do you have your own unique wedding invitations that you are just dying to share with the world? We love to see everyone's creations, so share with us in the comments below. In addition to your invitations, don't forget that your Save the Dates can be just as unique!